This post brought to you by Elmer's. I've had the idea for this post for ages, and I'm so excited to share it with you today. 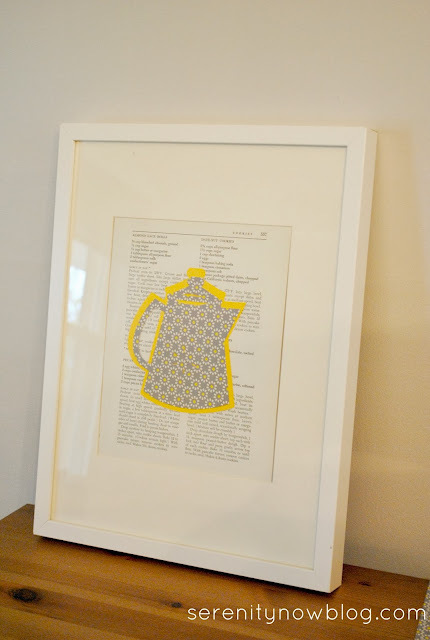 Using a few simple supplies, I put together some DIY Wall Art for my newly painted Kitchen. I love the look of silhouettes! Keep reading to see how you can create your own version. My friends at Elmer's sent me this awesome Craft It! kit filled with fun crafting supplies. It was so much fun to go through the box and choose items that would work for this project. 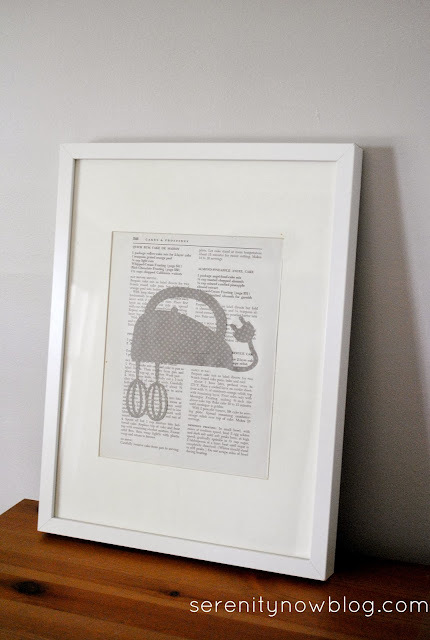 This is how I took a plain IKEA Ribba frame and an old cookbook and turned them into art. Please forgive the poor lighting in the photos...it has been extra cloudy here in Virginia! -Silhouette Clip Art download to trace or "Crafty Cutter"
2. Make sure your page lines up with your mat and grab the quick dry glue pen. 3. Use the precision tip of the glue pen to secure your page to the mat (not necessary, but I wanted it to stay put). 4. I used the adhesive dot runner to adhere the backing to the cookbook page for extra stability, but you can skip this step. 5. Take a peek at your framed piece to be sure it all lines up. It looks cute like this, but it needed something else! 6. 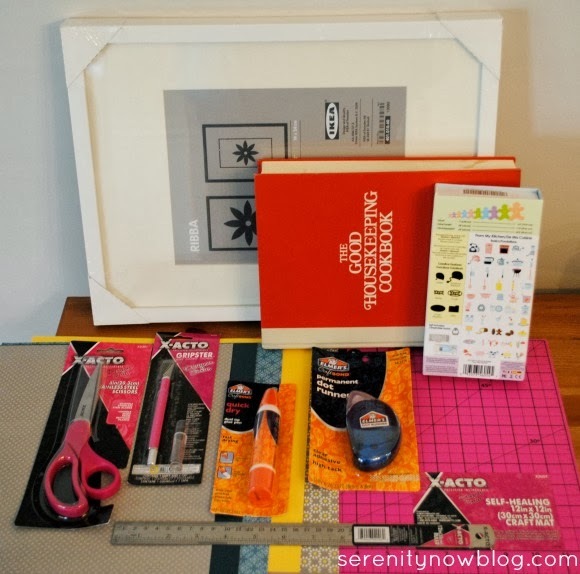 If you're using a "crafty cutter," use your ruler to measure out the paper you've chosen. 7. 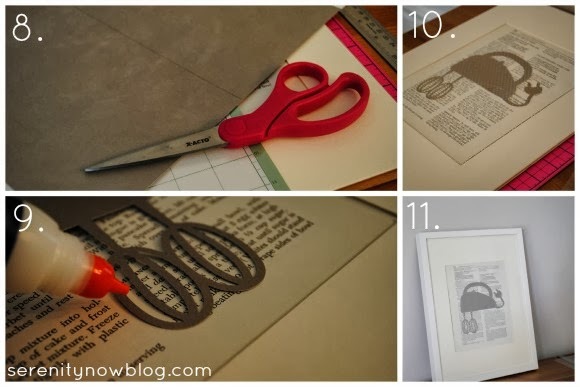 Trace your shape with your cut out online clip art, or use your ruler to mark off the cut area for your paper to run through the crafty cutter. 8. Cut your shape using your X-ACTO scissors, or trim the paper to fit in your crafty cutter. Send your paper through the machine to create your silhouette shape. 9. Use the dual tip glue pen to adhere the shape to your cookbook page. 10. Double check your placement before adding the art and mat to the frame. 11. Voila! Completed project. Now repeat as needed. I didn't like how the blender turned out, so I may replace it, but I love my other two silhouettes! Our kitchen mini makeover is on its way! 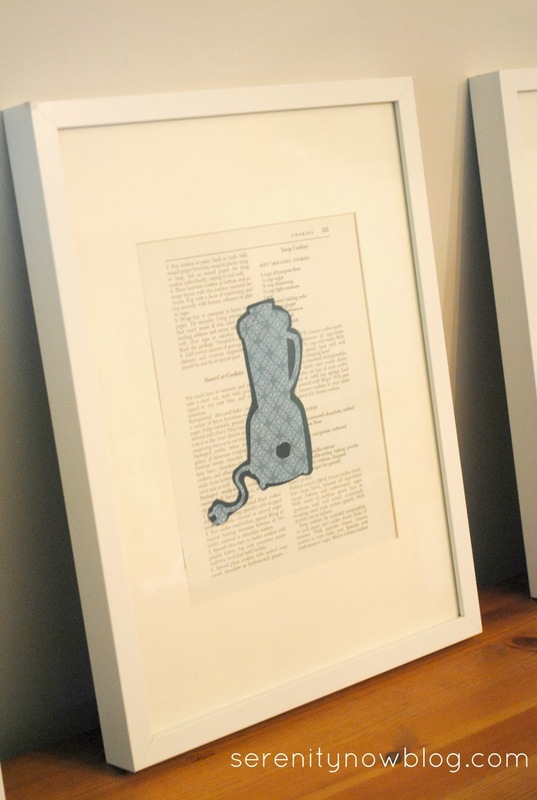 Have you ever made any art work for your kitchen? Disclaimer: This post is sponsored by Elmer's in exchange for product. It is not a financially compensated post. My opinions are, as always, my own. This art is so cute! I really love the little yellow tea pot. 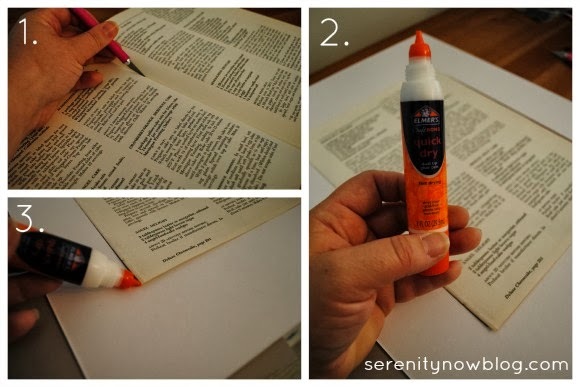 Great idea to layer it over the book pages. What a cute project! These are going to look great in your updated kitchen. Great idea. The look fantastic. super cute I have an old cookbook that was my grandmas that I was going to use as kitchen art -- now whenever I get around to doing something with it I will have the perfect inspiration!! I love this wall art idea! 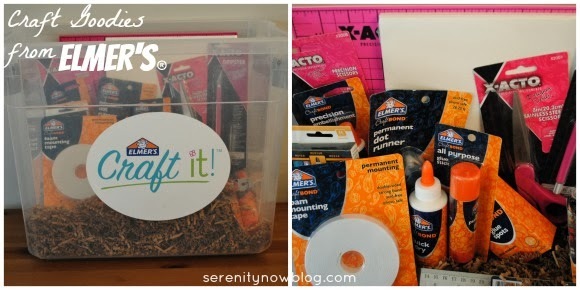 And the craft kit from Elmer's looks like it made creating the artwork fun! I love these! I'm decorating my kitchen with a retro theme and these would be perfect! I LOVE the mixer - it's so cute and neutral! What a wonderful idea and result and that craft kit looks like a must have! I adore these! There is something vintage about them. I am off to pin! Amanda, these are great! I love the idea of using pages from an old cookbook. And even if you don't have a cutting machine, you could make simple silhouettes to embellish the old pages. 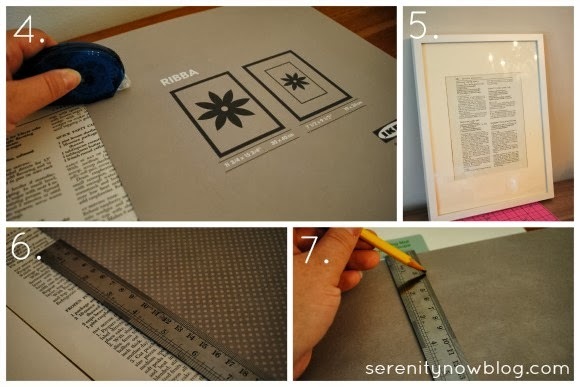 Or you could stencil a design right on top of an old page. 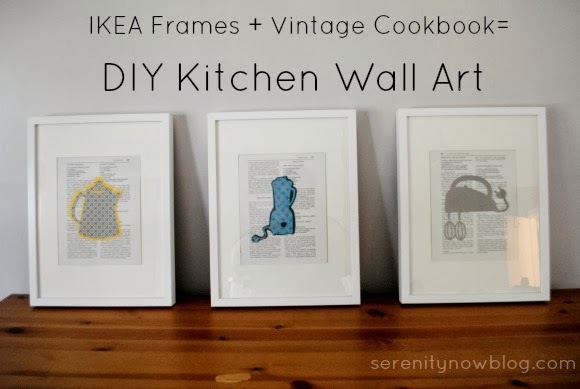 What great art for a kitchen--thanks for sharing this! I'm pinning this for sure. How's the kitchen makeover going? I know it's a long, slow process, especially when you're pregnant. Hope you're doing well! These are great! Such a cute idea. Love these Amanda- super cute!! Definitely pinning!! LOVE, love, love this idea! We just moved into our house a few months ago so there are still some bare spots in our kitchen and this would work so well (and it's inexpensive!) Great idea! This turned out too cute, Amanda! 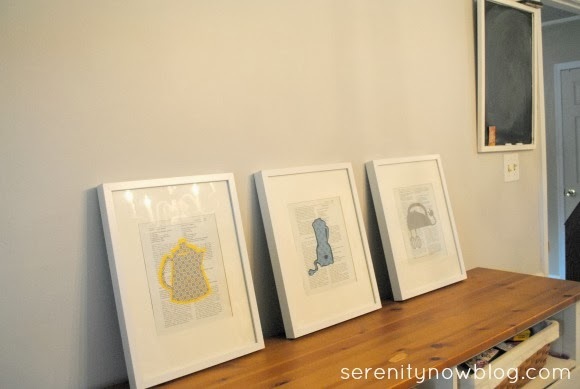 I love that you used the book pages behind and the cutouts are just perfect for a kitchen.